Although it's becoming harder and harder to make serious financial returns in today’s retail world in the age of Amazon, there's still room for entrepreneurs to excel at retail and e-commerce. So how are some succeeding when so many are failing? By driving change. But to drive change—i.e., sustain growth in changing times—takes courage, stamina and ingenuity. And, dedication, persistence and a lot of hard work. But even in today's harsh market demands and strong competitors, can young businesses still make it big and maybe even transform the world of retail? Yes! As proof, take a look at this list of retail startups led by successful entrepreneurs that broke out of the pack in recent years, either through smart marketing, unique services or highly specific target markets. 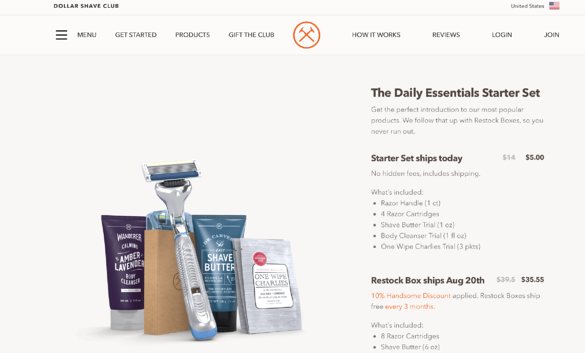 Dollar Shave Club is one of the top e-commerce startups bringing innovation to online shopping, specifically aimed at men who are tired of having to go out and buy new grooming products month after month. By mail, Dollar Shave Club delivers razors and other personal grooming products to its subscribers at very reasonable prices. A couple of years ago, Dollar Shave Club's YouTube video commercial went viral, and so the magic began. Within 48 hours of posting the video, the young company had 12,000 orders to fill. Founded in July 2011, it's now valued at more than $600 million, taking only a year for consumers to recognize its value in their lives. The secret(s) to its success? Offering a unique service and also using witty humor. If there’s one thing almost all men hate to do, it's shopping for clothes—at least before Trunk Club came along. Founded in 2009 and aimed exclusively at men who hate clothes shopping, Trunk Club is one of the best examples of how a retail startup can change the market entirely. Customers register on Trunk Club's website, submit their preferred tastes and precise measurements, and Trunk Club sends them a trunk of clothes. You keep (and are charged for) only the items you like and you return the ones you don't. After receiving more than $12 million in startup funding, Trunk Club was acquired by Nordstrom in 2014 for approximately $350 million. 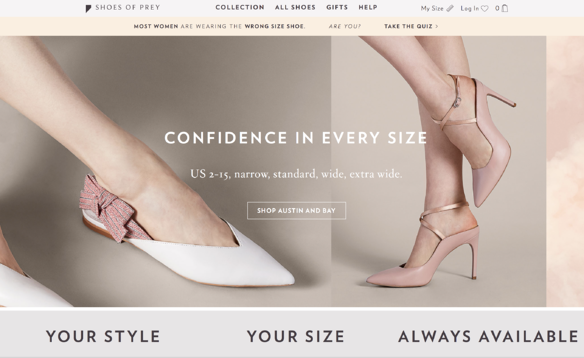 Like Dollar Shave Club and Trunk Club, Shoes of Prey is a thriving retail startup that’s changing the way e-commerce works by bringing groundbreaking innovation to a specific market segment—in this case, women. Shoes of Prey enables women to custom-design their own shoes, offering a variety of styles in over 300,000 variations, covering a wide range of design, material and size options. After customers design and order their shoes, Shoes of Prey manufactures and delivers them within four weeks. Founded in 2009, Shoes of Prey has raised nearly $9 million to date in funding. One of the founders, lawyer Jodie Fox, says the idea came to her while she was trying to find shoes that fit, both aesthetically and physically. A frequent traveler, she began ordering custom shoes made in Hong Kong, and soon all her friends started asking her how they could do the same. Voilà, Shoes of Prey was born. Eyeglasses are generally too expensive. People want to try glasses on before buying them, preferably without having to go to a store. 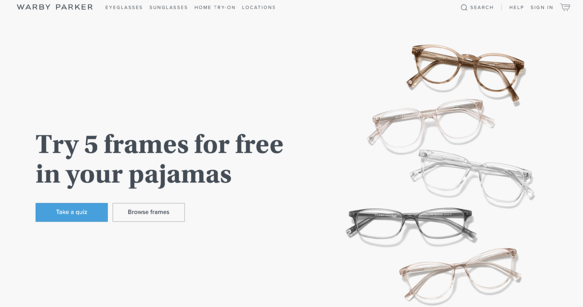 By designing their frames in-house and directly engaging with their customers (and shipping them to customers to try for free), Warby Parker has created an alternative to super-expensive designer eyewear at a fraction of the price. Today, the business is valued at $1.2 billion today. Offering a specific kind of product to a highly specific target market (the rich and sophisticated), 1stdibs sells high-end furniture, art and jewelry sourced from over 4,000 dealers around the world. Typical items include 1970s Italian lounge chairs, a Victorian necklace from the 1880s and a 1920s couch from France. 1stdibs started as a website where dealers could display their products and generate leads from interested visitors and potential buyers. Today, it's one of the leaders in retail startups with $200 million in online sales in 2017, according to an Internet Retailer study. Christina Miller, 1stdibs vice president of dealer relations, reports that they have learned without a doubt that Amazon has won the battle for the $50 consumer, but what about the $5000 consumer? That's theirs. Made.com is one of those startups that not only makes it easier for consumers to buy something but also makes it more affordable. 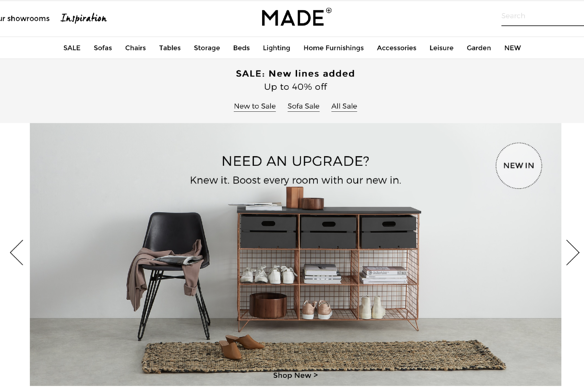 Reinventing the way people buy furniture, Made.com has no brick and mortar locations (no warehouses, no stores) and the manufacturing process only begins after a customer places an order. By operating this way, it's been able to reduce the cost of the furniture it sells by over 70%—and that’s top designer furniture! Founded in 2010 in the UK, Made.com has raised $60 million from investors as of last July and is now in 6 countries throughout Europe. A major component fueling the success of retail startups is the recent rise of blockchain technology. As these fledgling companies have found, the movement of information between third and fourth parties complicates transactions, but blockchain technology provides faster, auditable B2B interactions between all parties: sellers, buyers, and logistics providers. Using smart contracts, it's even replacing paper-based documents and manual purchase orders. This real-time information visibility into the supply chain is allowing retailers to make smarter decisions regarding inventory, procurement, financial positions and investments. In fact, blockchain might end up being the groundbreaking technology that reshapes the infrastructure of financial transactions, much like Amazon has reshaped the retail landscape. To learn more about this powerful new technology and where it is going, take a listen to our On The Brink podcast about what Jared Tate is doing to capitalize on blockchain at Digibyte. 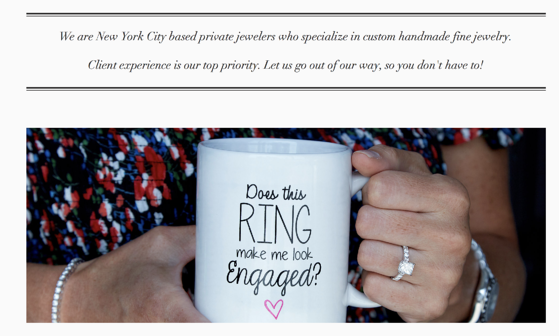 Check out Lusso Jewelers blog and website and learn about three talented women jewelers who left their old retail stores and launched their own jewelry concierge service. Lusso is for people who want to buy beautiful jewelry, their way. Ready To Make It Big In The Retail Business? Let's Talk. At Simon Associates Management Consultants, we specialize in helping startups successfully find uncontested market space and capitalize on consumers' unmet needs. 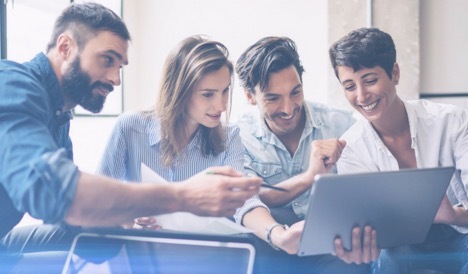 Our 6-Step Process is specifically designed for entrepreneurs who need smart, innovative business strategies so they can adapt to changing times and capitalize on new technologies. Please contact us to discuss how our process works and also how we might help you find startup capital, launch your business, capture customers and grow market share. We look forward to hearing from you.